Here’s Juria! Juria Nakagawa is only 17 years old, but she’s taken the Tokyo street fashion scene by storm. 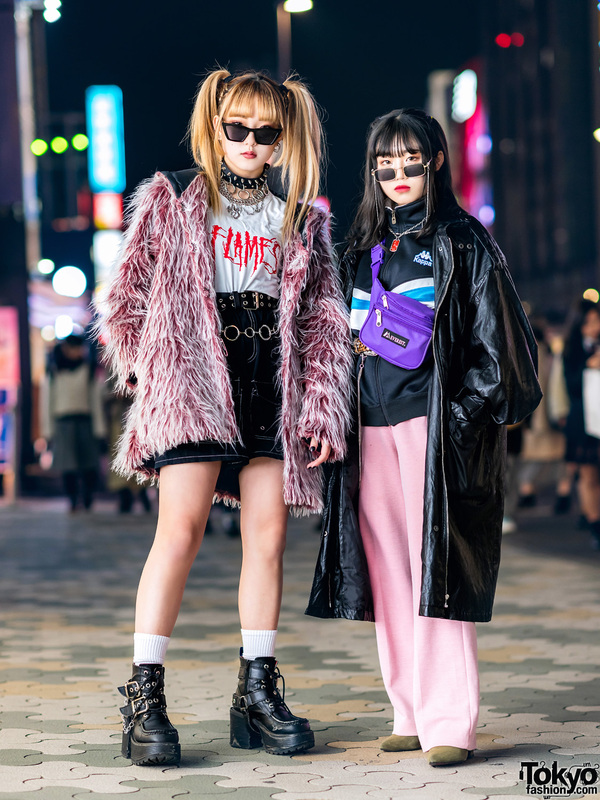 In addition to Juria’s frequent appearances in Japanese fashion magazines and snap websites, she also works at the super-popular legwear boutique Avantgarde Harajuku (which she is photographed in front of here). Despite her fast fame, Juria remains one of the friendliest girls who we see regularly on the streets. Juria is wearing a corset top with dragon embroidery, matching short shorts, cool flame tights from Avantgarde Harajuku, and Jeffrey Campbell platform shoes with lots of spikes. 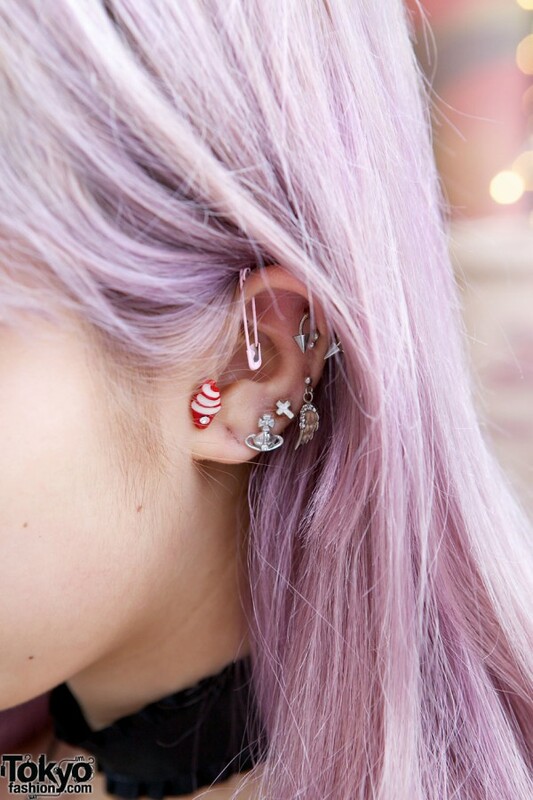 Accessories – some of which came from Vivienne Westwood – include a pink safety pin earring, various other earrings, a nose ring, a choker, a star necklace, a studded metal arm band, a leather bracelet, an armor ring, and a heart ring. 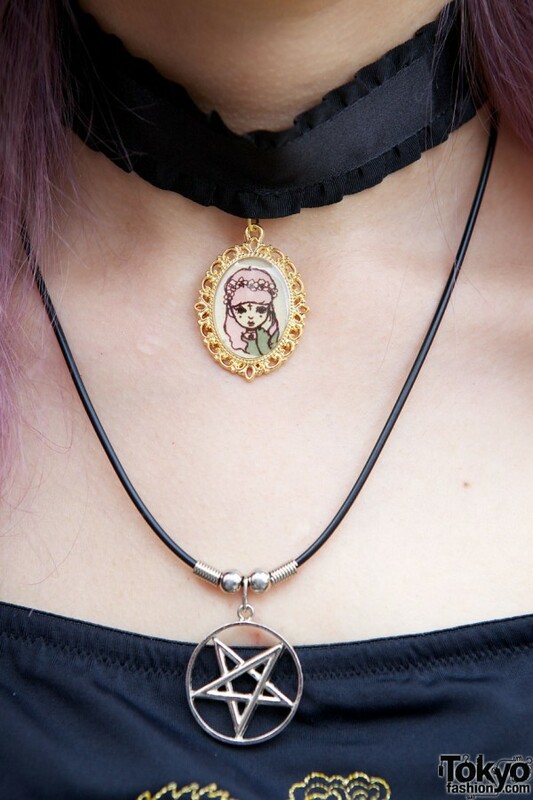 Juria told us that the cameo attached to her choker – which features her own likeness – was given to her by a friend. If you’d like to keep up with Juria’s adventures in Tokyo, consider following her on Twitter. You can also check out our recent feature on Avantgarde Harajuku if you want to know more about the store she works at. Wow Juria is really showing some skin!! Cool look. 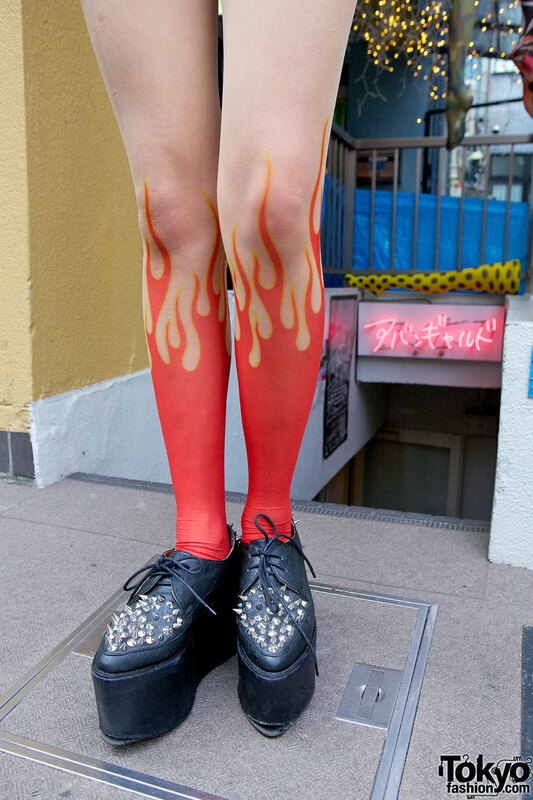 Love those flame tights! Red hott!!! Thank you for all the great pictures your put on your website ! It’s been a few years i visit it daily to check the new articles out and i love it :) im a student in fashion in france and this is a nice source of inspiration ! Juria is so goddamn cute. Sooo cute! Great hair great pantyhose!!! I love that little Vivienne Westwood earing!